Inoceramus sp. 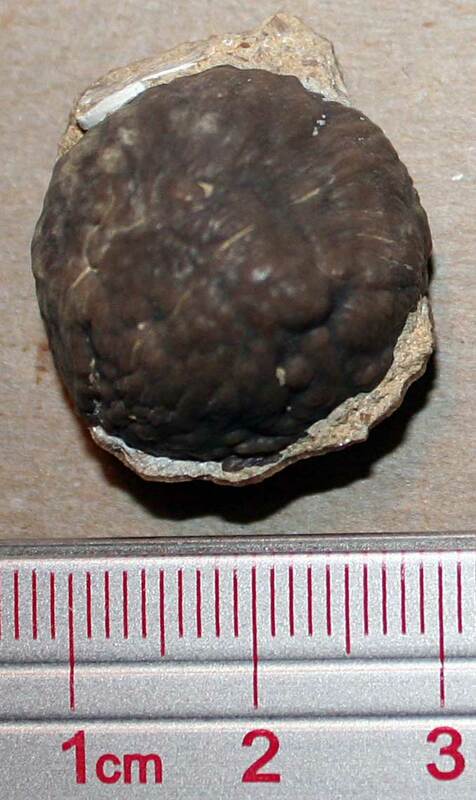 mega-blister pearl fossil found in the Niobrara formation of Gove County, Kansas. The extinct oyster that produced this beauty lived in the upper Cretaceous Period (about 89 million years ago). Thanks to Mark Palatas for letting me photograph it.